Providing the Guest-Centric Experience… Safely! 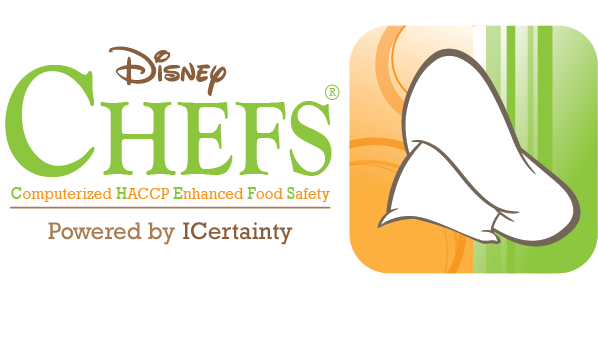 Disney has been at the forefront of HACCP Food Safety technology for almost 10 years. To continually create a safe guest-centric experience, our Disney CHEFS™ technology has been reimagined and introduced worldwide to integrate additional supply chain elements. 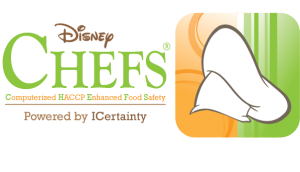 With our Corporate Citizenship goal to increase the availability of Disney-licensed technology on expertise safety and accessibility for third-party use, we’re making Disney CHEFS™ technology available to non-Disney restaurants worldwide. Helping to automate real-time supply chain audits, Disney CHEFS® for Agriculture captures, tracks and monitors safety data on key commodities. Disney CHEFS® for Manufacturing automates the real-time inspection of commodities as they enter the plant and track through the process following good manufacturing practices and assist with accomplishing USDA, FDA and GFSI certifications. From the loading dock to the cooler, Disney CHEFS® for Distribution helps to demonstrate the real-time of the critical control points of trucks entering the facility and tracking product storage, retrieval and subsequent selection for delivery. Critical points include safety, sanitation and other processes to reduce risk. 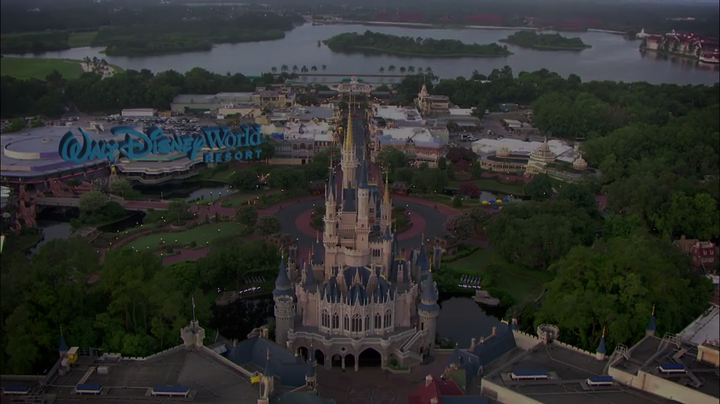 At the heart of the system is Disney CHEFS® for Food Service for managing key critical control points for food safety, quality and sanitation. In addition to safety, CHEFS® is a system of record for many quick service and table service applications to help integrate all of the necessary back of house functions. Connecting handheld devices to their environment through multiple methods of communication. Synchronized temperature probes connect with the Disney CHEFS® system and seamlessly record temperatures of food. Temperature probes may be static, such as monitoring the temperature of a freezer, or wireless to easily stream temperature data directly into the Disney CHEFS® Food Safety System. To view product information or purchase a Versid Temperature Probe featuring Disney SyncLink™ technology, please visit Versid website at www.versid.com.